It finally arrived! Topbox sent this month’s boxes out late this month because we were informed that they were still waiting on a sample to arrive before they would send them out. This box was definitely worth the wait. To my surprise, there were 7 products in the box! Usually there are only about 5. – I rarely use a brow/lash brush so I’m not sure if this is of great use for me, but I will definitely give it a try and see how I like it. – I have been loving the bronzer brush (super soft bristles!) that was included in a previous topbox so I am happy to see another brush this month. Kabuki brushes are very travel friendly and this one is soft to the touch. Great for buffing on powder. – A feminine wipe; Self explanatory, lol. – Unfortunately, this product leaked inside its own box. Good thing it had a box or else it would have been all over the other products! A tad disappointing because I am only left with half a bottle. When I opened the box, I was like, wow where is this strong smell coming from?! Right then & there I knew there may have been some leakage. Oh well! – I have not previously heard of this Canadian company, but I am always open to trying different cleansers. 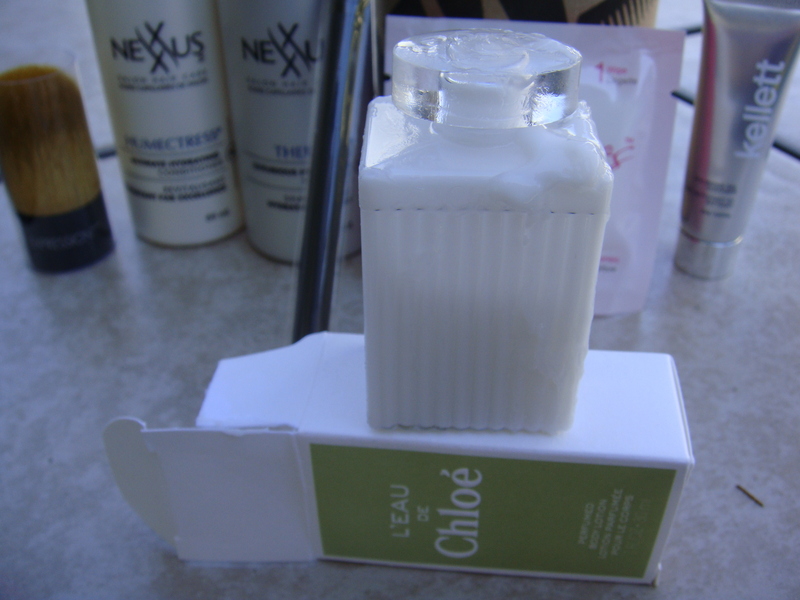 It doesn’t have a strong smell to it which is a plus because it won’t irritate sensitive skin. – Perhaps these were the products that Topbox was still waiting for? Because these are not on the info box. Nevertheless it’s always nice to have travel friendly hair products. They smell good too! Great box this month despite the leaky lotion. Can’t wait to try the kabuki brush! 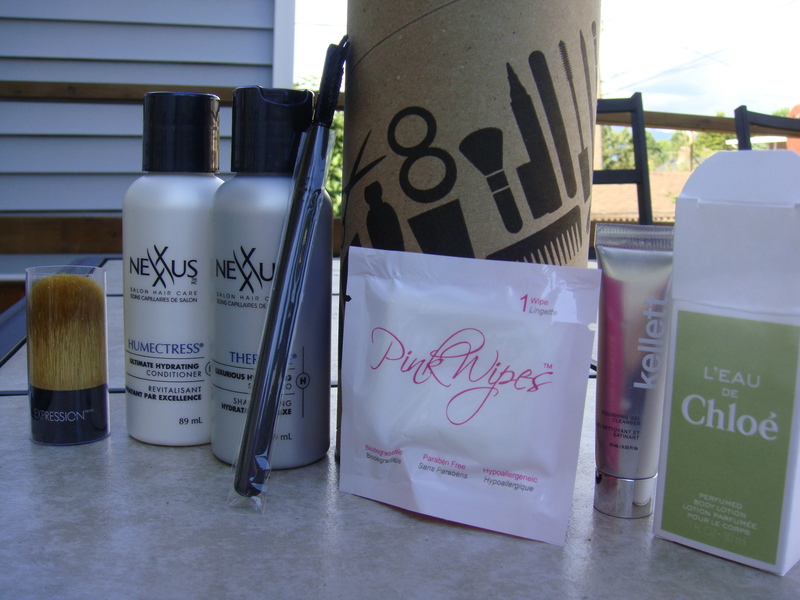 What did you receive in your August Topbox? September 2012 Topbox « take her word.